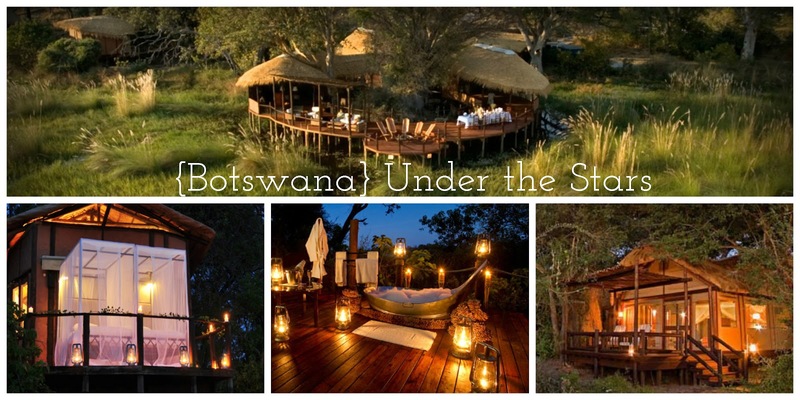 If you and your spouse-to-be are serious adventure travel lovers, and if the thought of sleeping under the stars on an elevated platform in the bush land of Botswana sounds like the perfect honeymoon, than you might want to check out this feature, provided by Abercrombie & Kent. It's definitely glamping at it's finest. Relive the ambiance of a bygone era on this journey through the riverine forests, expansive delta and spectacular game-filled bush land of Botswana. 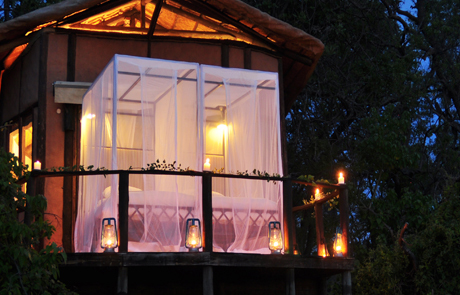 Romance is in the air - literally - when you sleep under the stars on an elevated platform and share a lantern-lit "star bath" on your private deck. The euphoria continues on a private sundowner cruise as you admire enjoy your beautiful surroundings and the array of wildlife that comes to the water's edge. Experience true luxury in the wilderness. Your private suite has a four poster bed that can be rolled out under the stars or take a “star bath.” Spot the big five on game drives by boat or 4WD. This adventure for two ends with a helicopter flight over Victoria Falls. To view an itinerary for this amazing honeymoon, please visit Abercrombie & Kent. Do you have a unique honeymoon getaway opportunity you would like to share with our readers? Send an email with what you have in mind to info@savvydeetsbridal.com. Im getting married in 2 years and really want to do something amazing for my honeymoon! This looks just amazing! Hi Lorraine! Thanks for stopping by! Hope you can go on an adventure like this for your honeymoon! Congrats to you! What a beautiful outdoor bath with all the lanterns! Beautiful and romantic.